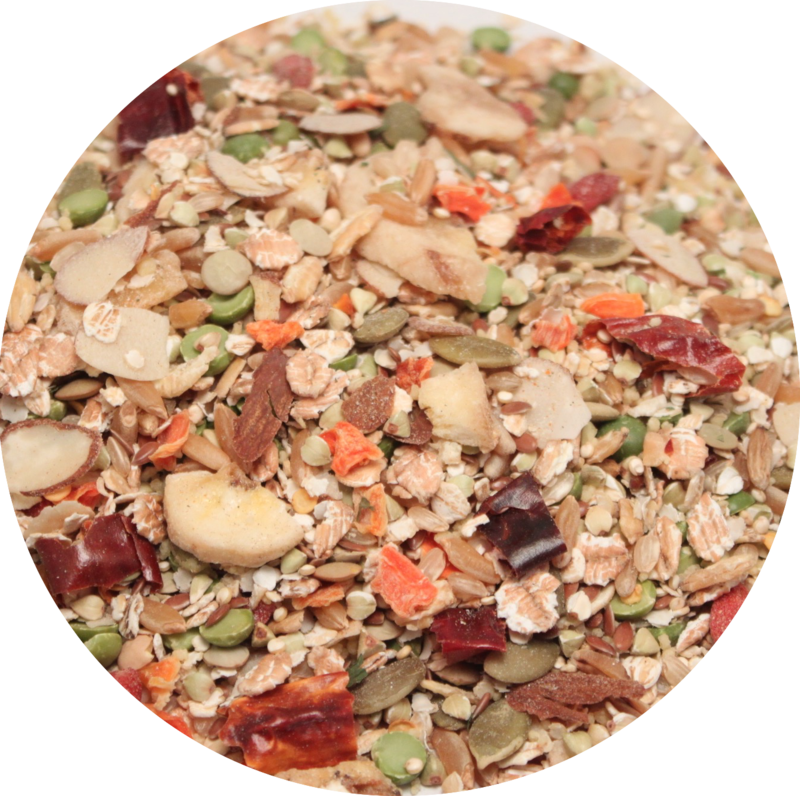 Mayan Gourmet Parrot and Bird Mash Mix from Avian Organics ~Organic Parrot Food~ Mash Mixes, Bird Breads, Bird Treats and More! Featuring South American grains, Goji berries from the mountains of Tibet and a big variety of other nutritious ingredients. Provides a warm mash style meal in just 10 minutes. Formulated with beneficial herbs and enticing healthy spices, this mash is suitable for all parrots, large or small. Cayenne pepper gives this home-cooked mash the spiciness birds love. Tail's up reactions with every bag! Sold in 400 gram packages. Why are Goji berries so good for our parrots? Full cooking instructions on package label. Buckwheat, KAMUT® Brand grain, rown rice, couscous, quinoa flake, peas, pumpkin and sunflower seed, KAMUT® Brand grain, KAMUT® Brand flakes, lentils, oat flakes, triticale flakes, quinoa, flax, carrots, peppers, goji berries, almonds, bananas, parsley, dandelion, ginger, cayenne.